Human remains dating back as far as 7,000 years have been found in a cave in southern Mexico. Experts believe the skeletons belong to the earliest-known ancestors of the country’s ancient Mayan civilization. Researchers from Mexico’s National Institute of Anthropological History (INAH) discovered three sets of remains during a search of the Puyil cave in the Tacotalpa municipality of Tabasco state in Mexico. One set is thought to be around 7,000 years old, while the other two are estimated to date back 4,000 years. 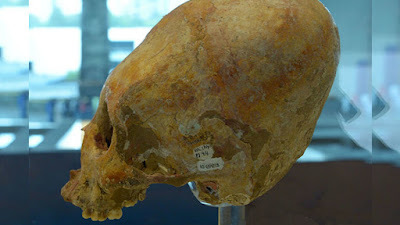 Archaeologist Alberto Martos said the find was especially interesting as the age of the bones marks a time when humans were transitioning from being hunters to more sedentary creatures. “There were different groups during this time that used the caves, clearly it wasn't a domestic cave,” Martos said in a statement. 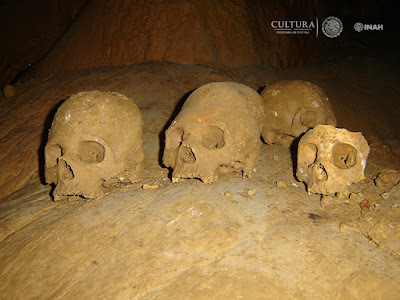 “This cave was used by the Maya, they respected the remains that were already there and left their own remains inside." The remains, which are on display along with other artifacts in Mexico City’s Anthropology Museum, are not the only major Mayan cultural finds in recent times. In February, archaeologists recovered a treasure trove of relics and remains from the world’s largest underwater cave in the Yucatan peninsula. The discovery included fossils of a type of ancient elephant, giant sloths and a shrine to a Mayan god. It’s believed that desperate animals ventured into the caves in search of water at times of severe drought, some of which then became trapped.